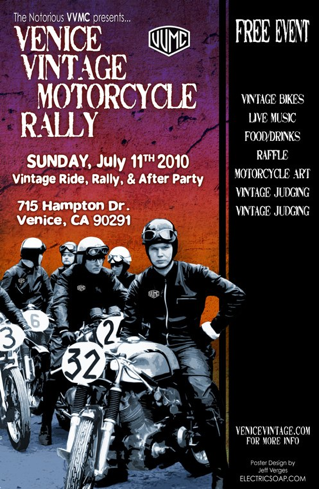 East Side Moto Babes: "Cali Cool"
Very excited to be curating an exhibition for the Venice Vintage Motorcycle Club's rally. The exhibition will have some motorcycle themed work. Just as motorcycles are an important aspect of California's cultural impact on how the world views "cool," the exhibition will also include other influences California has had on "cool." I have started putting the word out and the response has been positive, so I am getting really excited.